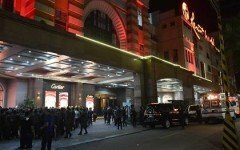 With all the excitement and news these past several days dedicated to the WPT Vietnam Main Event, the side events have had to take a back seat. Not anymore, we are back on track. Below are the festival’s final side event winners. 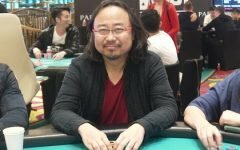 Despite Terry Gonzaga commanding most of the action at the lone Pot Limit Omaha event, even entering heads up against Sim Kok Wai with a mighty big stack, he was unable to close it out. 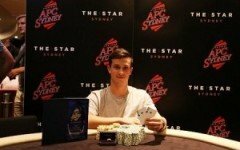 Sim shipped repeated pots to steal the win and the VND 231,410,000 first prize. The Mix Max Freezeout event was an interesting one with players staring off 9-handed on the first day then 6-handed on the final day. According to several players that stopped by the media table, it was a tough field especially that it was a freezeout. At the final table, Kush Kataria looked to be in fine shape to ship it with his very big stack but it was not to be. Instead he fell in 3rd place. 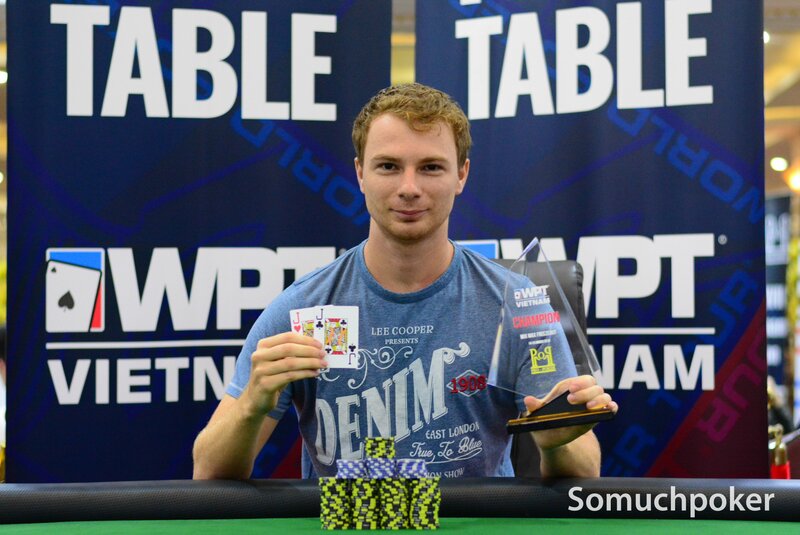 Claiming the win was Jakob Senk to lift his first-ever trophy in Asia and the VND 134,440,000 first prize. The Team Event Freezeout drew 21 teams to action. 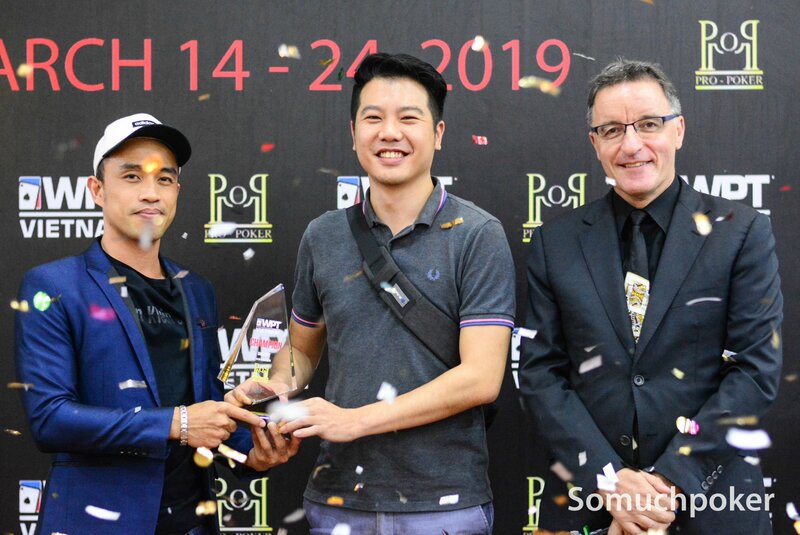 Denis Pham and Richard Marquez overcame a huge deficit at heads up against Norbert Koh and Dhanesh Chainani to seize the title and the VND 81,480,000 first prize. 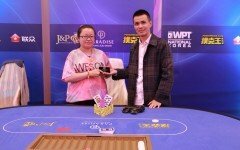 This was a very joyful outcome for Marquez who captured his first-ever WPT trophy and first victory in Vietnam. 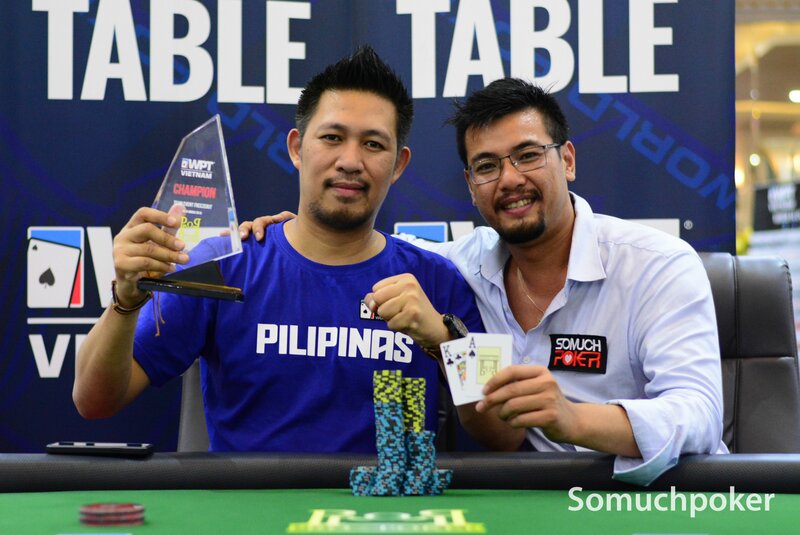 Last month, Marquez won the PPPoker World Championship Event in Manila. As for his teammate Pham, this was his first-ever career title. A big turnout for the Shootout Event with 60 players registered at the end of the first flight and another 60 in the second flight. The tables were 10-handed. Only one player per table advanced to the final day. All 12 advancing players were guaranteed a piece of the VND 698,400,000 prize pool. The second round of the shootout was six per table then down to the final table of 9 players. 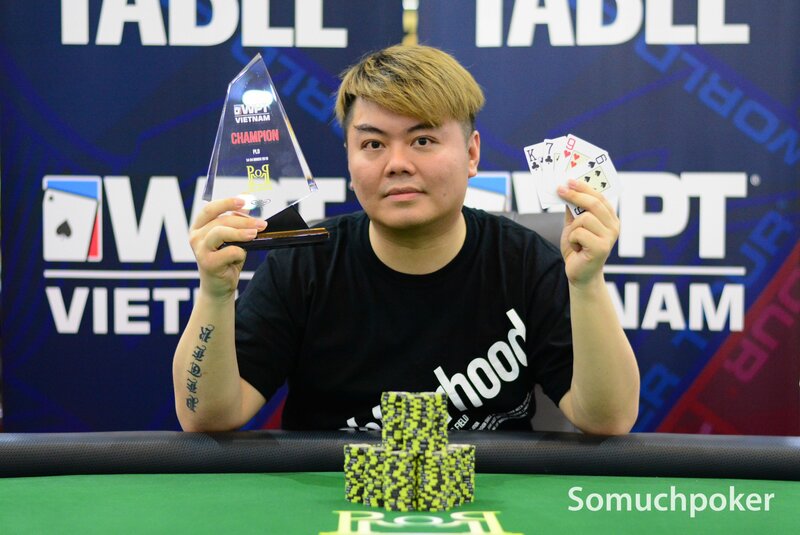 Taking it to the finish line was Yow Jia Wei defeating Joey Pang Choyi after a deal was struck. 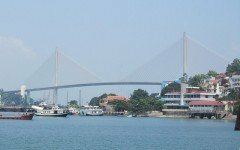 The two-day Superstack Classic was and is one of the most popular events in the roster. 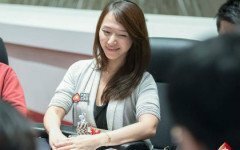 Players enjoy plenty of playing time with a deep starting stack of 100 bbs. The event concluded with the venue’s very own Director, Hoang Anh Nguyen closing it out. Catching the action at three-handed, Nguyen was already backed by over 80 percent of the chips in play. His two opponents tried but couldn’t make a dent. 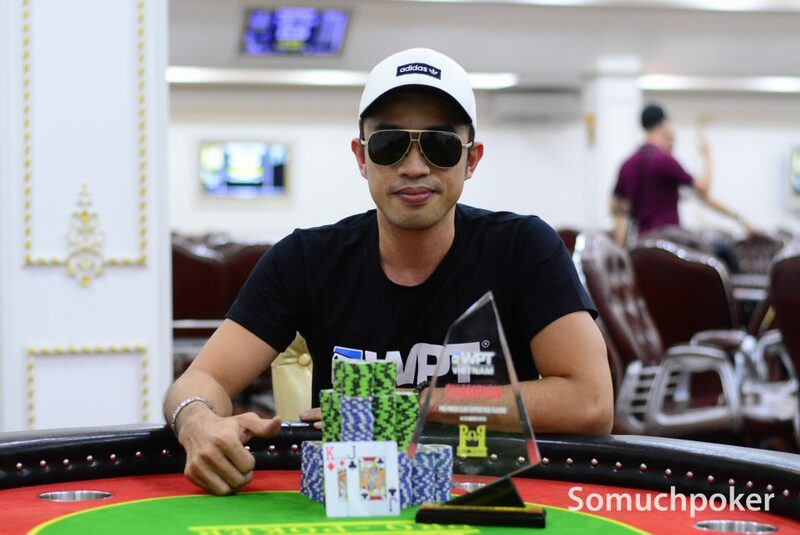 Nguyen earned VND 452,320,000 for his crushing victory. The Superstack Turbo saw 81 final day stragglers (67 uniques, 14 re-entries) looking to grab one of the last trophies of the festival. The money round began at 11 places. 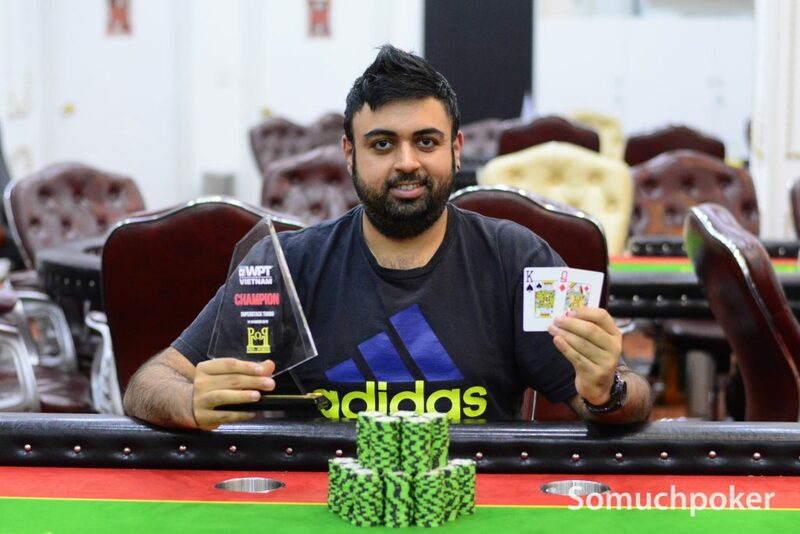 Once it reached three-handed, a deal was struck and Dhanesh Chainani went on to win it.